Practice rooms for guitar, harmonium, keyboard, drums, tabla, etc. Customised Student Management Software with Student Profile; Attendance Module; Admission Module; Admin Module; Medical Record etc. Customised Student Assessment Software for recording the observation; grades; scores; reflections of the educator and providing with instant analysis of the work of the educator and learner for further reflection and improvisation. 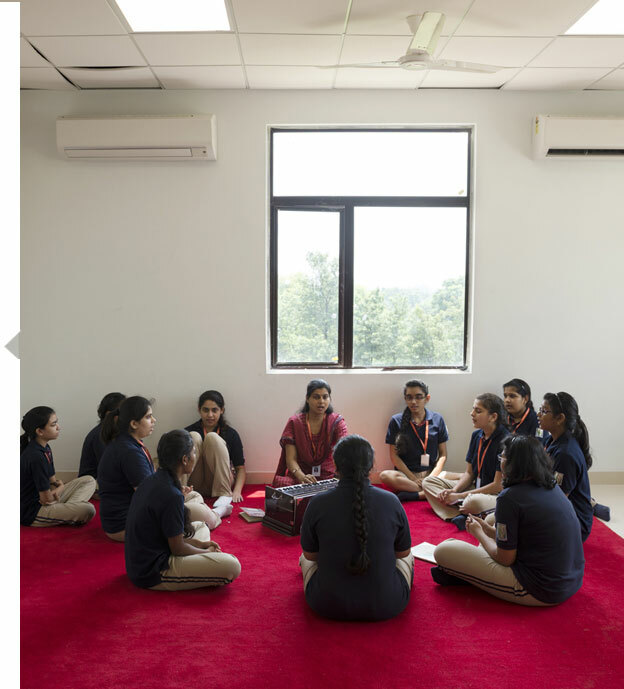 Access to a wide range of community members, who regularly engage in meaningful and enriching dialogue with our students, ensures that our students have more role models and mentors from different walks of life involved in their stages of growing up. Their contribution is invaluable in providing guidance to the students in several areas– whether it is life skills, understanding a subject better or talking about teenager challenges. Regular and intensive feedback is floated to and from the community members and a commonality in messaging and tonality ensures that a child does not receive conflicting or confusing messages.